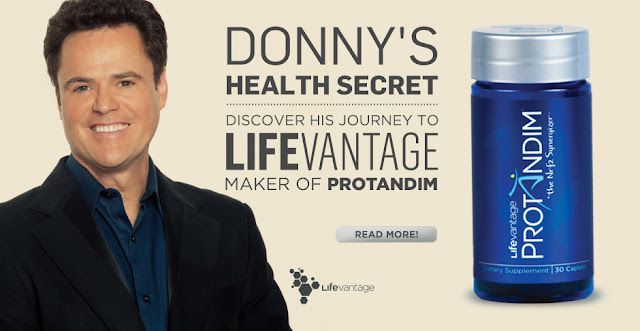 Osmond was introduced to Protandim in 2009 and had his doctor review it before taking it. Osmond’s doctor said Protandim reduces oxidative stress and activates nrf2, which up-regulates positive genes often called survival genes, and down-regulates negative factors, such as inflammation. Osmond has been taking Protandim for over two years and has experienced personal success with the supplement. "With Protandim I have more energy, clarity of mind, better focus, and I'm more patient. I believe I have avoided long-term health issues that run in my family as well. Things that normally hit at certain ages, I've avoided thanks to Protandim." "Protandim came at just the right time. I was in school learning about the body and health, and it tied into what I was learning and doing perfectly. I go to school every day and learn about health issues, and here comes a product that answers it all!" "With Protandim, I have noticed an increase in energy. I have enough energy to make it through a long and very busy day with energy to spare. I'm also excited about Protandim because of the proven scientific data available on the product. I see Protandim as an opportunity to not only improve my health, but to help others as well." "Protandim is my favorite product because it has the most science, has been studied, has a history, and people can't deny what it has been found to do. I believe that in five years, there won't be many places you can go in the world where you won't hear the word Protandim." Listen to what people are saying about Protandim and LifeVantage!! !